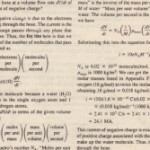 Chapters 22 through 26 deal largely with- electrostatics-that is, with charges at rest. 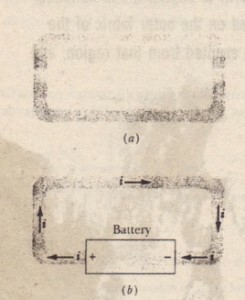 With this chapter we begin to focus on electric currents-that is, charges in motion. examples of electric currents abound, ranging from the large currents that constitute lightning strokes to the tiny nerve currents that regulate’nor muscular activity. he currents in household wiring, in lightbulbs, and in electrical appliances are familiar to all. A beam of electrons – a current – moves through an evacuated space in the picture tube of a common television set. Charged particles of both signs flow in the ionized gases of fluorescent lamps, in the batteries of radios, and in car batteries. Electric currents can also be found in the semiconductors in calculators and in the chips that control microwave ovens and electric dishwashers. On a global scale, charged particles trapped in the Van Allen radiation belts s rage back and forth above the atmosphere between Earth’s north and south magnetic poles. On the scale of the solar system, enormous currents of protons, electrons, and ions fly radially outward from the Sun as the solar wind. On the galactic scale, cosmic rays, which are largely energetic protons, stream through our Milky Way galaxy, some reaching Earth. Although an electric current is a stream of moving charges, not all moving charges constitute an electric current. 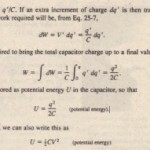 If there is to be an electric current through a given surface, there must be a net flow of charge through that surface. Two examples our meaning. 1. The free electrons (conduction electrons) in an isolated length of copper wire are in random motion at speeds of the order of 106 m/s. If you pass a hypothetical plane through such a wire, conduction electrons pass through it in both directions at the rate of many billions per second-but there is no net transport of charge and thus no current through the wire. However, if you connect the ends of the wire to a battery, you slightly bias the flow in one direction, with the result that there now is a net transport of charge and thus an electric current through the wire. 2. The flow of water through a garden hose represents the directed flow of positive charge (the protons in the water molecules) at a rate of perhaps several million coulombs per second. There is no net transport of charge, however, because there is a parallel flow of negative charge (the electrons in the water molecules) of exactly the same amount moving in exactly the same direction. 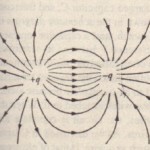 In this chapter we restrict ourselves largely to the study-within the framework of classical physics-of steady currents of conduction electrons moving through metallic coductors such as copper wires.